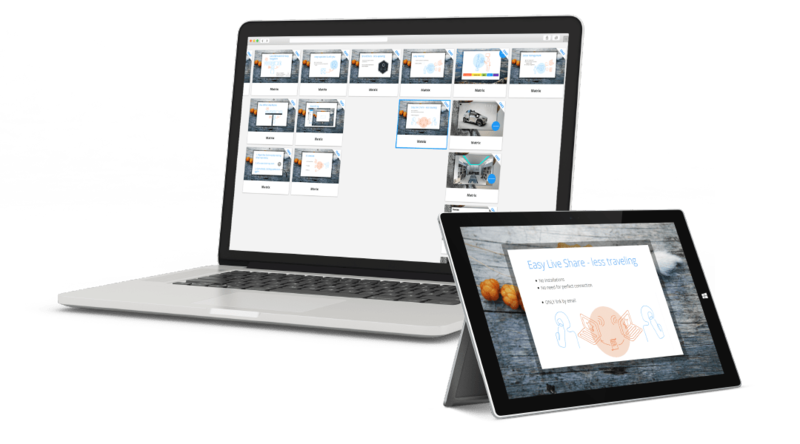 You can choose to start from scratch or just import your existing powerpoint slides to your Seidat team. So, sing up, create a team, import your slide decks, put them in order and start presenting! When you import all your slide decks in to Seidat you may notice that most of them include the exact same slides. In this case, you can choose to merge them as Smart Slides. They will then be managed from one place making it possible to update dozens of decks just by one click. In a team, people tend to have different responsibilities and skills. In Seidat you can easily manage what everyone can do or access. You can choose who can edit and what, and who can only use existing material and share it. For example, your marketing team would get the access to modify brand settings, sales management can be in charge of editing your general (Smart) slides and your sales team would only have rights to pick them from the Slide bank for use. In Seidat, it's easy to switch all different fonts from your powerpoints to your brand webfont. Using pre-defined styles and color palette, it's simple to keep the same look through all slide decks. The whole team also shares the same image and slide bank consisting all existing material. You never know when a presentation may be needed. When you have your slide decks in Seidat, online and up-to-date, available on any device, you're always prepared. Different audiences need different presentations. So, instead of linear powerpoint presentation structure and the need to edit the presentation before every single meeting, you can arrange your slides in a matrix, ready for any occasion. With this innovative matrix navigation structure, you can decide which path to take on the spot. Step through the top slides for an elevator pitch, dive into more detail or jump back and forth with hotspots. For full control, use presenters' view to get a sneaky peak of the presentation overview and jump to any slide.